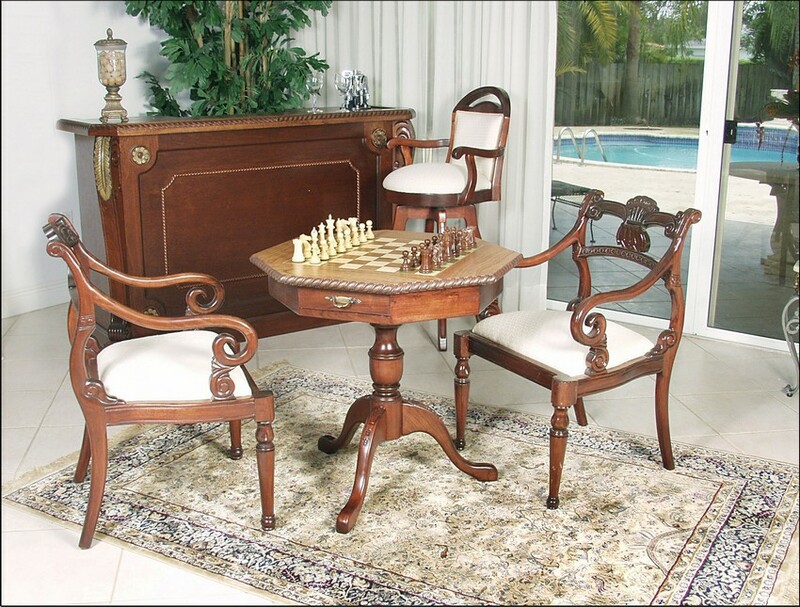 The Dhalia Chess Table. 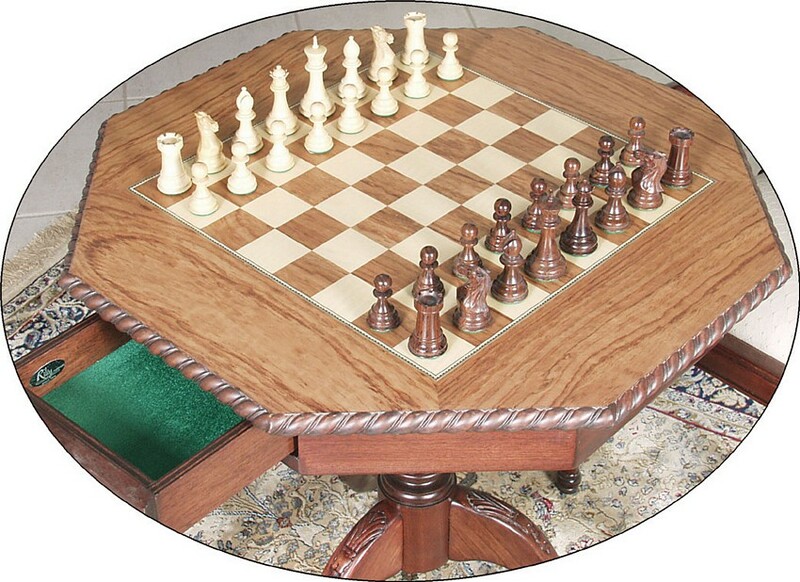 Have you been looking for an affordable, high quality pedestal chess table? Look no further. We are quite pleased to be able to offer you this beautiful table. As you read this description, can you start to imagine the compliments you will get from your friends when they see this beautiful table? Table can be used as a coffee table or for whatever you please. The board features beautiful Rosewood for the squares and outer board and USA imported white Birds Eye Maple. Take a look at the beautiful border on the table featuring a cork style border. Unlike other pedestal tables in the market, this table has ample room for dead pieces, chess clock, and your favorite coffee mug! Pedestal Style table. Great for apartments! Pedestal is a solid wood trunk. No jointed pieces. Exotic woods for playing board. Birds Eye Maple and South American Rosewood.